[*] Core Connection protocol totally rewritten, to improve efficiency and speed. The new protocol has been designed to be faster, while also using less CPU and memory, compared to the old Remcos v1 protocol. This will result in a generally faster experience of all functions which transmit data with the remote host. The improvements are notable when communicating with a single remote host, but expecially when managing many hosts simoultaneously. 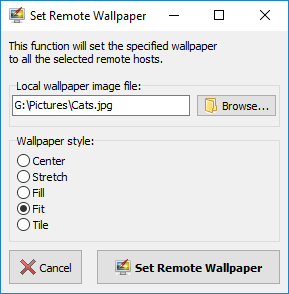 [*] FileManager: improved “set wallpaper” function, now it is possible to choose wallpaper style. [+] The double click action on remote hosts are now customizable. You can now assign your favourite function to be opened directly by double-clicking on the host, without having to use the functions menu. [*] Listening Ports Local Settings: added the ability to start/stop a port without having to remove from list and readd it again. [!] Due to the radical change of the core connection protocol, Remcos v1 agents are not compatible with Remcos v2 C&C and viceversa. 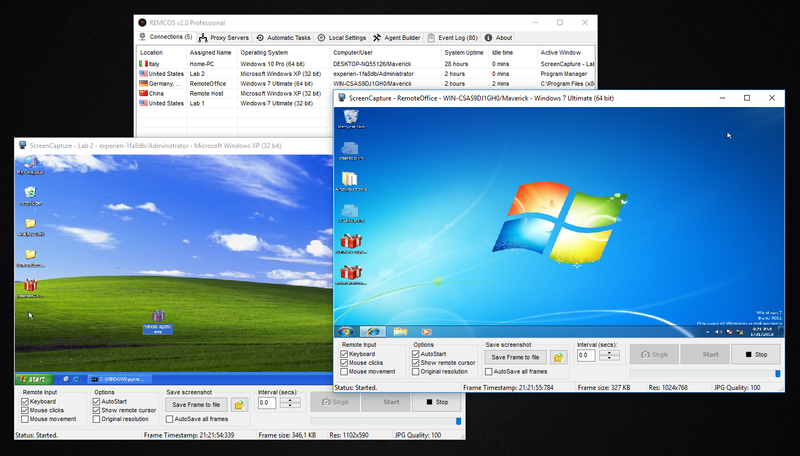 then open the Remcos v1 C&C and use either the Update function, Download/Execute function, or File Manager to run the new Remcos v2 agent on the remote machine.